Icons flat is a range of functional display stands: five basic models offer a wide variety of mid-floor display options and versatile applications. The understated, linear frames are equipped with a progressive height adjustment mechanism. They can be dismantled into a flat pack for easy storage and quickly reassembled as required. 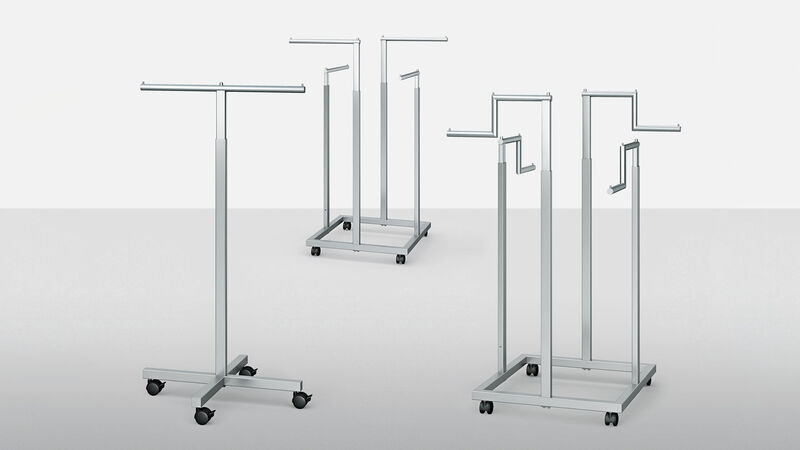 Icons flat display stands can be used to quickly and easily accommodate additional merchandise in mid-floor areas.